Optus and APC have launched a competition in which we try and unearth Australian IT teams who have implemented projects that demonstrate original solutions to problems. To get your hands on the updated firmware, you’ll need to pull it down using the latest Samsung Kies desktop software (Windows only) version 1.5.3.10301_102, which you can download from here. CREDIT and debit card fraud increased to $183 million in the past financial year, up from $167m a year earlier. This includes the use of counterfeit cards containing skimmed information, with around 70,000 incidents netting $22m. Local consumers are not liable for fraudulent transactions provided they have exercised reasonable care, including protecting their PINs and watching for anything suspicious while using ATMs and store payment devices. He said there was strong evidence chip card technology was helping to protect businesses and consumers. 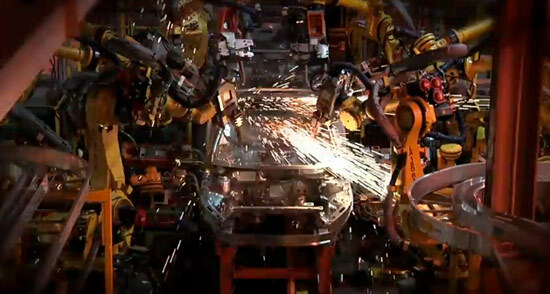 Advertising spending in China is expected to grow 51 per cent to reach A$34.6bn in 2013, said Zenith. China has become the second-largest contributor to global advertising spending growth behind the US, which should however continue to contribute the most ad dollars to the global market over the next three years, even though it is growing at a slower rate than China, Zenith said. After overtaking Germany, China could soon also overtake Japan, which is still the world’s second-largest ad market but where spending is expected to only grow 5 per cent between now and 2013, hit by deflation and high public debt. Russia will become one of the world’s top ten advertising markets in 2012, leapfrogging Australia and Canada to take ninth place, and is forecast to overtake Italy to make become No. 8 in 2013. The public broadcaster’s said its pact with Samsung would see it offer its iView catch-up television service on Samsung internet-enabled TVs and Blu-ray players from the first calendar quarter of 2011. The ABC has also launched its highly anticipated iView app for the iPad. ABC director of television Kim Dalton predicted that mobile television would take off in 2011. “Audiences now expect choice and ABC TV is setting the national benchmark in delivering it to viewers. We have a wonderful slate of programming for 2011, and through ABC iView, it will be the most accessible content in the country,” Mr Dalton said. However, a spokeswoman for the ABC said that the iPad would not be able to play video across mobile 3G networks. The ABC said that use of the iView service had doubled since the beginning of the year with average monthly unique browsers increasing 235,000 last year to 595,000 this year. Visits to the service had risen from 708,000 to 2 million over the same period, it said. Australian viewers can now see all episodes of Doctor Who Series 1 and 2 and all episodes of the first two series of Torchwood via Yahoo!7’s catchup TV service. Australian PlayStation 3 owners will find a “Plus7” button on their crossmedia bar (same place as the ABC iView button), and computer users can access the site here. It airs 7:30pm Sunday December 26th on ABC1. The TV Tonight blog confirms that the Doctor Who 2010 Christmas special, A Christmas Carol, will make its Australian debut on the Australian Broadcasting Corporation on Boxing Day, Sunday 26 December 2010 at 7.30pm on ABC1. As TV Tonight reports, this will be the first time ever an episode of Doctor Who will air in Australia within 24 hours of its UK debut. Still haven’t found that case you’ve been looking for? At last, the promise land. 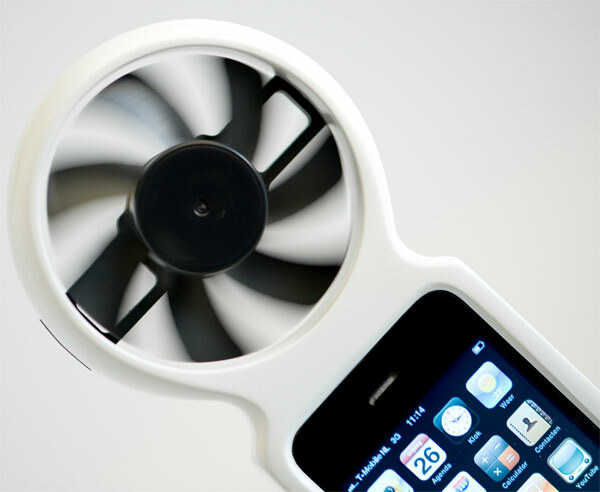 Designer Tjeerd Veenhoven has crafted a partly nifty, partly hilarious new wind-powered iPhone charger / case, appropriately dubbed iFan. In theory, at least, this here case would wrap your iPhone up for protection and then catch wind gusts from wherever, in turn rejuvenating your phone as you talked and walked. There’s even a bicycle attachment mockup for those who’d rather place it on their handlebars and kick things up a notch. Unfortunately, there’s no word on whether the process can be reversed (i.e. if the blades can be turned into a battery-powered cooling machine when you’re at full capacity), nor a hard on-sale date. But hey, at least there’s no jailbreak requirement. Fan of the original 1,500mAh Mophie Juice pack for the iPhone 4? Sure, we certainly were when we reviewed it a few months back. So let us introduce you to the new Mophie Juice Pack Plus featuring a bigger 2,000mAh battery that more than doubles the life of Apple’s non-removable iPhone 4 battery. Unfortunately, the extra oomph bumps the price from $79.95 to $99.95 and adds another 1mm of bulk to the pack — not that a minor size bump should matter too much when you’re already strapping your svelte phone to a battery sled. 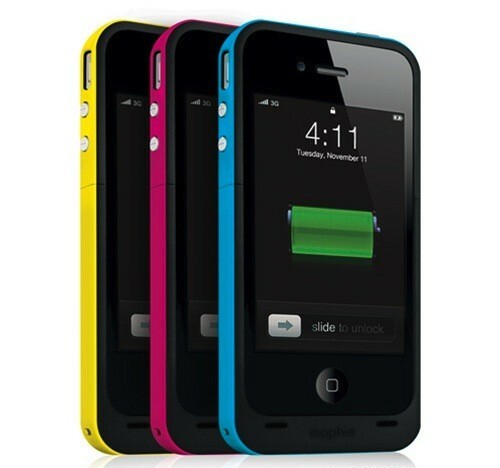 It’s available now in black with yellow, Engadget Mobile magenta, and classic Engadget cyan coming soon. Thinking of grabbing Looxcie’s remarkable Bluetooth-based Borg-cam as a $200 stocking stuffer this year? Hold on a twirl, and make sure you’re paying for the one that actually plays nice with your mark’s favorite smartphone. 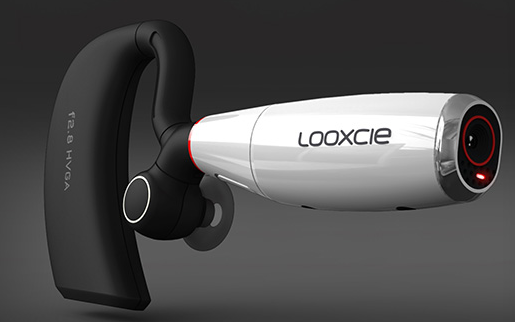 You see, the company had to make a hardware modification this week to the original Looxcie to make it compatible with iOS devices, and while that’s complete now, you’ll want to buy the new Looxcie LX1 if your giftee owns an iPhone, iPad or iPod touch. Otherwise, you’ll be buying a device that’s Android-exclusive for the very same price. Got an Android phone to begin with? We expect the seething anger of Looxcie early adopters will soon afford you some deep discounts on the now-inferior original. PR after the break. Sharing is caring, and imaging devices that pack pico projectors sure do make it easy to care — assuming you’re in a dimly-lit room with a flat, color-free surface at your disposal. 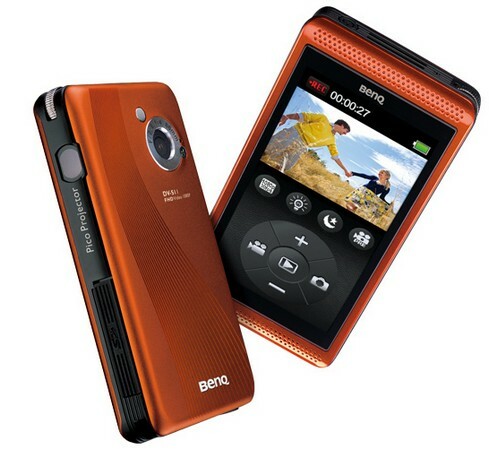 BenQ‘s DV S11 is the latest, a 1080p zoomless camcorder that exists in the Flip style and can also capture five megapixel stills. No specs are listed for the projector itself, except that it’s said to be able to push a 50-inch picture out its hole — presumably only if you’re at the bottom of a cave or in some similarly light-free environment. The combo is available now in Hong Kong priced at $2,399 HKD, which equates to about $300 American. Speeding is easy to do, and like it or not having someone else in the car nagging you about it actually can help. What to do if your mother is unavailable? 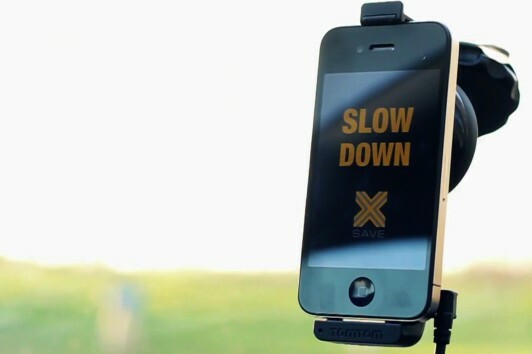 Check out Slow Down in the App Store. It’s a product of the Belgian organization OVK, Parents of Children Killed in Road Accidents, and it has a very simple idea: if you drive too fast it slows down your music, as demonstrated below. Cross the limit and your thumping beats get run through molasses, but get back to a legal speed and Joanna Newsom’s lilting highs stop sounding like a zombie’s baleful lamentations. We’re not entirely sure whether the app works outside of its native land at this point, and given how unreliable the indicated speed limits in navigation software tend to be we’re not sure we want it to. But, if you have a bad habit you can’t kick, this free app might just help. We’ve had our eyes on Argo Medical Technologies’ ReWalk for a couple years, ever since the exoskeleton walked into view with a gait (and a sound) eerily reminiscent of RoboCop’s. The device weighs seven pounds and features two leg braces with motorized joints and motion sensors, a harness, and a backpack for holding the computer that controls the device and a battery that should last a good three-and-a-half hours. In addition to giving paraplegics the ability to walk, this bad boy can be used to treat the health complications of those who cannot walk on their own, including digestive, cardiovascular, and circulatory issues. 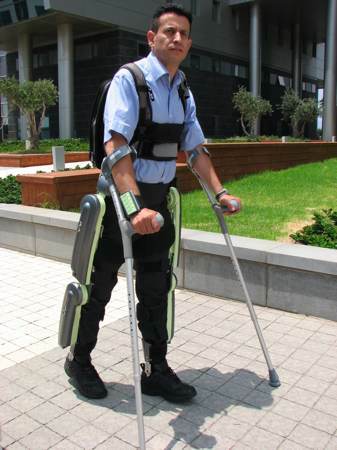 After clinical trials in the US and Israel, the device is due to go on sale to rehab centers worldwide this January. The cost for one will be in the $100,000 mark. So, we don’t mind a small home renovation project every now and then, and this is one we’re seriously considering. 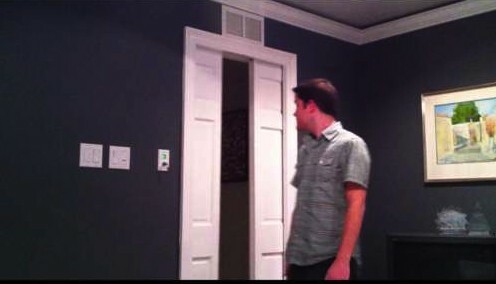 Instructables has posted a step-by-step guide on installing sliding doors which are powered by an air compressor, and which look super cool. As you’ll see in the video which is after the break, it’s a pretty simple idea, which requires a pretty fair amount of work, but the results are very impressive. The sliding doors are controlled by a panel switch and have a key which can lock them open or shut, and the door also boasts a vent above it for air ventilation after operation. Yes, we actually want one of these. Taking an underwater self-portrait isn’t the easiest thing in the world — even if you’re fond of robot DIY — but this concept camera won a Red Dot award for capturing more than typically meets the eye. The UNDERABOVE floats like a buoy thanks to a pair of watertight ballast compartments, takes images with twin cameras above and below, then stitches the result into a turquoise vertical panorama viewable on the inbuilt LCD screen. 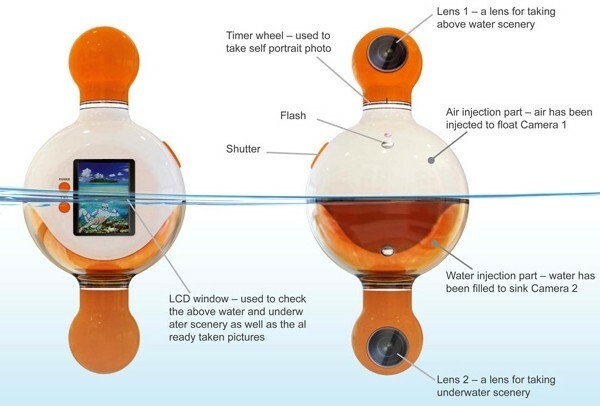 If and when this device actually gets produced (and gains some serious image stabilization) the worlds of fish and man will never be the same. Sometimes, the comparison just isn’t apples to apples. A rare Apple-1 recently sold for $215,000. However, a rare, transparent Mac SE couldn’t even get $25,000 slipped into its garter. The seller, who says he worked in Apple R&D in the 1908s, said the Mac SE was in “ideal shape” and that “every component except for the on-board battery is original.” Yes, the only way to boot it was from the 800k floppy drive. 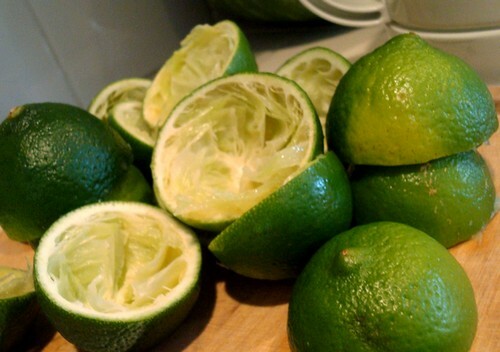 But surely this is a masterpiece of translucent joy. And yet, not one fanperson was prepared to dedicate a mere pittance for an iconic jewel that was created only for internal use. Yes, it is very possible that not one non-technophile’s grubby mitts have ever been near this work of art. I have one theory for this discrepancy. While the Mac SE was cast into eBay’s populist waters, the Apple-1 was placed into the delicate gloved hands of the hoi polloi at Christie’s. 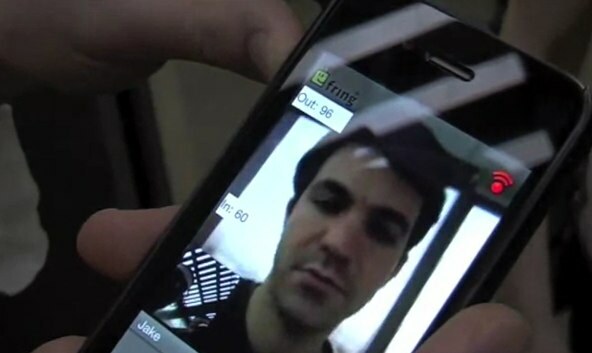 Fring is working hard to seize on this (hopefully temporary) gap in the video chat firmament, where Google is lacking in a first party mobile video chat solution, Apple’s supposedly open FaceTime standard has yet to be opened, and Skype is dragging its feet on a mobile video call implementation. We’re not sure how long that will last, but until then we’re happy to have Fring sprucing up its own cross-platform solution. Fring just pushed out new Android and iPhone versions of its app that include “DVQ,” or “Dynamic Video Quality” for video calling. It’s pretty simple: the video quality automatically (and asynchronously) adjusts to use your available bandwidth, with an emphasis on keeping the audio stream pure and uninterrupted. It might sound like a no brainer, but it’s a nice touch — particularly for folks straying from WiFi and trying their luck with carrier data. Check out a video of DVQ in action after the break. It’s said to be “The world’s simplest cellphone.” That’s a bold claim from anyone let alone a previously unknown (in gadget circles anyway) Dutch team of creatives over at John Doe Amsterdam who wanted to build a basic phone — the most basic phone ever — that wasn’t as dull and boring as other affordable phones on the market. So is it? Well, it certainly is basic. In the age of smartphones and cheap featurephones, John’s phone is more clearly defined by what it lacks than what it has: no fancy color touchscreen display; no camera; no 3G radio, WiFi, Bluetooth or even GPRS data; no FM radio; no user-accessible storage; and no music player or apps of any kind. It can’t even send a text message. 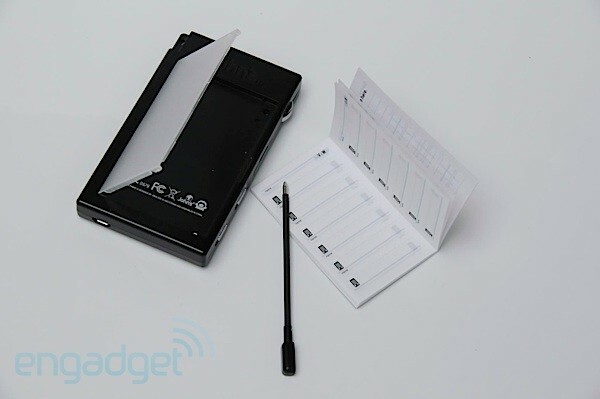 It’s just a quad-band GSM phone with an ink pen and paper notepad tucked neatly into its capacious recesses. That’s right, pen and paper. So, it’s definitely basic, but is it simple to use? Read on to find out. To be honest, the John’s Phone Business edition we reviewed looks and feels like a cheap child’s toy. An €80 child’s toy to be sure but a child’s toy nonetheless. And that’s ok, we guess, considering the unsophisticated audience it apparently targets including tweeners, the elderly, or twenty-somethings whose aim is to be conspicuously cynical when placing their cellphone on top of the bar. While John Doe claims that the phone is manufactured from high-quality plastic, it feels like the stuff you’d find liberally slathered around a Barbie Dream House. The rough seam that runs the circumference of the handset doesn’t exactly elicit a sense of quality either. Even the trio of shiny silver switches seem to be made of the same plastic “chrome” found adorning the bumpers and headlights of Revell model car kits. The phone’s also incredibly light at 3.35 ounces considering its plump 4.1 x 2.4 x 0.8 inch dimensions — making it almost exactly the size and weight of a standard deck of playing cards. 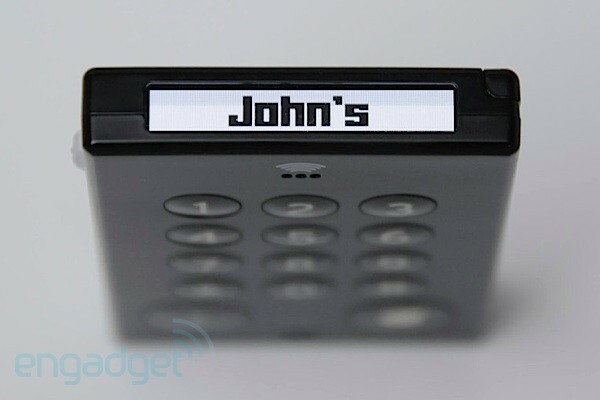 The most notable design flare on the John’s Phone is a clear plastic door on the back of the handset that hides a 32-page paper address book with a notepad and tongue-in-cheek “Games” page dedicated to tic-tac-toe. There’s even an integrated ink pen that could easily be mistaken for a stylus. The company jests that it can be used even when the phone is switched off. Ha. The black on white display at the top of the John’s Phone is tall enough to present the user with two lines of recently dialed phone numbers (the volume slider controls the scrolling) or the signal strength, position of the precarious on / lock / off switch (more on that later), and the battery status. When the 1,200mAh battery is full, the display will show the word “JOHNS” along the right. The lower the battery the fewer the letters displayed. Cute. While the display location is certainly novel, it’s also impractical to view when tapping out phone numbers on the keypad. So far we’ve only fully charged the device once… about two weeks ago! The company promises “more than three weeks” standby from the non-removable battery and we believe it. John’s Phone comes in a variety of adorable sounding colors like sweet (pink), tree (brown), business (black), snow (white), grass (green), and even a limited edition €100 “bar” (it’s gold, get it?) for those looking to make the ultimate ironical statement. You’ll also see variations in the begin and end call keys depending upon the model chosen. These vary between a pair of portly red (end call) or green (begin call) tots, “hello” and “bye” text, or a small dot and bomb with a lit fuse that would have made Mel Blanc proud once he overcame his confusion. So, how did it work? Well, to make and receive calls it worked fine. The ringer was suitably loud and the vibration was strong enough to get noticed in a pocket. The audio quality during calls was also decent — not spectacular but not awful either. There’s no built in address book but you can easily assign speed dial numbers to each key on the dial pad making the phone dead simple to operate once configured. There’s no speakerphone but this ultra-low-end handset surprisingly ships with an earphone / mic that plugs into the micro-USB jack for hands-free calling. Now for the bad stuff. Along the left-hand side you’ll find three switches. At the top is a volume switch for adjusting the earpiece sound and for navigating your recent calls list. It’s not so much a switch as it is a spring-loaded dial that rotates about 90-degrees up and 90-degrees down by grabbing a small (very small) nub on the top of the arc. In practice adjusting the in-call volume or navigating through the call log is a needlessly difficult operation since the dial works best by grabbing the nub with a fingernail. That’s ok (but far from ideal) when pulling the switch down as you can hook a fingernail over the nub. Moving it up one-handed, however, requires a frustrating push on the very smooth plastic dial with the pad of your finger or thumb. More often than not, the dial slips beneath the finger necessitating a repeat action. Ugh. Moving down from the volume rocker you’ll find a three-way switch to control the ringer (loud / normal / silent — vibrate is always on) and a second matching three-way below that for on / lock / off. Both these switches deserve a special place in Gadget Hell for the very worst in industrial design. Not only do they require a fingernail to operate, they also don’t work most of the time. Here’s the issue: the phone won’t register moving either switch from the top position directly to the bottom position. The phone simply stares back at you in inanimate bemusement if you switch from loud to silent (skipping over normal) ringer operation, or from on to off (skipping lock). You have to deliberately move from the top position, to the middle, and then to the bottom. No problem you say? Well, to make matters worse, the switch consistently overshoots the middle position when moving from the top position. As such, you have to nudge the switch up gently so that the middle position registers and then slide it to the bottom. While this is annoying for the ringer volume, the fact that it affects the on / lock / off settings makes the phone nearly unusable in practice. See, the phone has to be in the lock position in order to carry it around in a pocket or bag due to those easy-hitting bulbous keys on the face of the phone. But because of the switch issue and our inability to reliably lock the keys, several times we found ourselves inadvertently dialing previously called numbers because the call button had been hit while walking around. Not good. Unfortunately, we’re told by the company that the issue affects all John’s Phones, not just our evaluation unit. It’s supposed to be improved “in the next batches,” whenever that might be. So is the John’s Phone “The world’s simplest cellphone.” No. The fact that all three of the device’s switches are so frustrating to use is simply unforgivable on such a basic cellphone that’s supposedly rooted in “great design.” We wish that the company had spent as much time on the phone’s industrial design as it did on its slick promotional materials and cutesy graphics. Even then, you’d better be sure that the simplicity is worth the €70 – €100 price tag (depending upon model) — for that you could take home a fully-loaded 3G featurephone from Nokia. A nod, perhaps, as to why the John’s Phone exists. The Optus My Tab offers a far cheaper option for tablet lovers without too great a hit to its usability. Those who understand what it can and can’t do will get great use out of this device. With Christmas looming, tablet PCs are coming out of the woodwork. Though Apple’s iPad and Samsung’s Galaxy Tab seem like the reputable tablet options, budget entries from Telstra and Optus offer food for thought, if nothing else. The Optus My Tab is specced like the T-Touch Tab, but we knew it was a different, better budget Android tablet as soon as we stabbed at it with our fingers. Perhaps the best compliment we can give the ZTE-manufactured device is that it looks the part of a cheapish Android tablet. Its 7-inch screen sits within a piano-black bezel, which gives way to a plastic silver covering around the back. Emblazoned across the back of the My Tab is a large, friendly-looking Android as well as a second opportunity for Optus and ZTE to co-brand the handset. The 7-inch centrepiece of the My Tab is a rather dull-looking TFT display which uses resistive touch technology for user input. For those in the know, this isn’t a very appealing-sounding combination, though we have to say, this screen certainly serves its purpose. The touchscreen is surprisingly usable, requiring very little pressure to register a response. Its WVGA resolution adds to the underwhelming appearance of the images on the screen, but at the end of the day, it does its job of delivering information. The tablet isn’t too heavy either, in fact, at 350 grams the My Tab is the lightest of the 7-inch tablets we’ve come across to date. This is an important metric for comparing devices whose weight you’ll likely support for long periods of time. 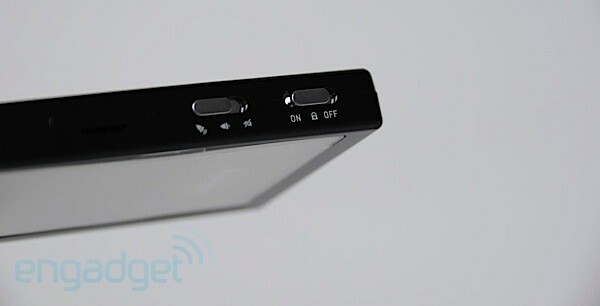 The tablet also has a 3.5mm headphone socket, a micro-USB port and a microSD card slot fitted with 2GB of memory. Like most of the prepaid Android handsets we’ve encountered in 2010, the My Tab is a fairly bare-bones Android experience. It ships with Android version 2.1 (Eclair), so it comes with a decent suite of productivity tools, like Gmail, calendar and Google Maps. There’s also the stock Android music player, stock video player and WebKit web browser. The My Tab supports the basic range of connectivity options with HSDPA wireless compatible with the 900 and 2100MHz frequencies, Wi-Fi, Bluetooth, GPS and USB. We’ve been testing the unit with an Optus prepaid SIM card installed and the service has been good in the Sydney CBD (as you might expect), delivering 2-3Mbps downloads and a respectable 60- to 70-millisecond latency. Even though the My Tab runs on a comparatively slower 600MHz Qualcomm processor, it manages to deliver a pleasant user experience. We’re not going to go further than that and say we were blown away with the performance, we encountered a fair amount of animation jitter across the menus and home screens, but next to the Telstra T-Touch Tab, the My Tab is like a cheetah chasing an elephant. We ran the standard Android benchmarks and saw a decent 26 frames per second in Neocore and other processing benchmarks in line with older devices like the Xperia X10 and Motorola Milestone. This performance is evident across the range of different apps available to users of Android 2.1. The web browser is snappy, though the resistive screen does mean there is no multi-touch gestures, like pinch-to-zoom, and there’s no Flash support. We installed Fruit Ninja and Angry Birds to test gaming on the My Tab, which worked as you would expect them to, though Fruit Ninja did show some lag after longer sessions of play. There are some apps that really struggle too: RockPlayer is our “go-to” DivX and XviD video player and it was basically unusable on the My Tab. RockPlayer uses a software decoder to play files that the stock Android video player doesn’t support and, unfortunately, the My Tab simply doesn’t have the grunt to handle these sort of tasks. The 2-megapixel camera is definitely a dud, taking terrible images time and again, but then we can’t say we expected too much in this department. Even when we tested this camera under optimal lighting situations, the lens would find the hottest part of the image and create a photo-destroying lens flare. Battery life was serviceable without being amazing, with up to a day and a half between charges when used for long sessions of web browsing and social network updates. However, My Tab did have impressive standby power, even with the 3G radios connected. Though the battery drain meets our expectation, charging the battery takes forever, with up to four hours or more to charge the 3400mAh battery pack. You’ll definitely be keeping the travel adapter next to your bedside table to accommodate the long charge time overnight. For AU$279 there are going to be some major sacrifices made in delivering a device like the Galaxy Tab, but for nearly a quarter of the price. Thankfully, these sacrifices don’t impact too greatly on the user experience, and though in many ways the My Tab isn’t a pretty machine, it certainly works as advertised. There’s no one part of this device that truly blows us away, but if you’re looking for a tablet for web surfing, gaming and music playback, the My Tab is an absolute bargain compared with the alternatives. But be aware of its limitations too. The My Tab doesn’t support Flash in the web browser, doesn’t love to multitask (though it’s technically capable of it) and isn’t powerful enough to playback any of the HD video files you have lying around on your PC. We also wouldn’t recommend it for phone calls unless you use a Bluetooth headset. Those who understand what this tablet can and can’t do will get some very good use out of it. After a New York Times magazine article exposed his bizarre business tactic of courting the worst customer feedback possible so that infuriated buyers would leave negative commentary online, boosting his Google search results, DecorMyEyes.com eyeglass proprietor Vitaly Borker has been arrested on charges of cyberstalking, making interstate threats, mail fraud, and wire fraud. The original story about DecorMyEyes, published on November 26, detailed the Brooklyn, N.Y.-based Borker’s tactics of harassing, cheating, and bullying customers, sometimes under pseudonyms and often with threats of obscenity and violence, to the point that several of them contacted the police. He engaged in these tactics, as well as selling counterfeit and defective eyeglasses, specifically to take advantage of a loophole in Google’s search algorithm that didn’t differentiate between positive and negative mentions of a company in ranking sites in search results. As a results, DecorMyEyes’ Google rankings were stellar. Borker was arrested and due in federal court in New York on Monday, and according to CNBC agents found weapons and ammunition in his home at the time of arrest. The charges of making interstate threats and cyberstalking each have a maximum penalty of five years jail time, whereas if Borker is convicted of either mail fraud or wire fraud he could face 20 years in prison for each. Local computer equipment provider MacPro settled its long-running trademark battle with tech giant Apple in the Federal Court today. In May 2006, Apple attempted to register a trademark with IP Australia for the words, “MacPro” and “Mac Pro”. In August of the same year, Melbourne-based IT company MacPro opposed the trademark, filing a notice of opposition with IP Australia. At the time, no official trademark for the name was held by the Melbourne IT provider, rather it had been trading as MacPro since 1983. The court heard today that Apple and Macpro had reached a settlement over the trademarks. As a result of the settlement, Macpro has withdrawn its objections over the trademark registration, allowing Apple to trademark the terms for use with certain goods and services. “The mark is to proceed to registration without conditions or limitations,” IP Australia said in a statement. At the time of the opposition, MacPro filed a separate request to trademark its business name, which was subsequently blocked by Apple. According to IP Australia, that dispute is still unresolved. “The registrar is not privy to any commercial arrangements between the two parties [as] that matter is still progressing,” IP Australia added. Lawyers from Blake Dawson representing MacPro today presented Justice Emmett with settlement documents, signed by both parties and the deputy registrar of Trademarks. “The parties have reached agreement,” a lawyer from Blake Dawson told Justice Emmett today. “A letter signed by the deputy registrar of trademarks [indicates] he has no objection,” MacPro’s representation added. ZDNet Australia contacted Apple and MacPro to discuss the settlement itself. Both declined to comment. It’s hardly a surprise that there’s a cadre of individuals who aren’t too fond of Google’s seemingly omnipresent Street View fleet, but the ending of this dispute is downright absurd. 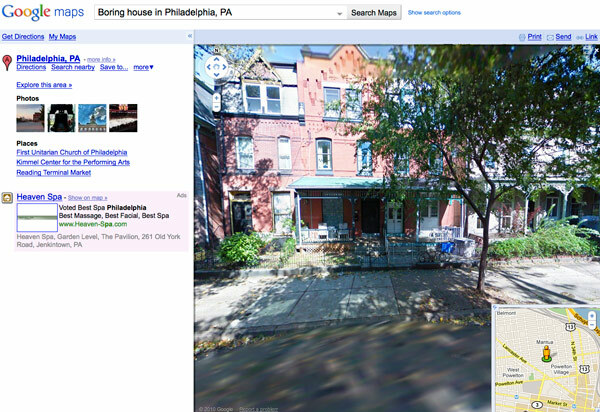 Back in 2008, Aaron and Christine Boring were looking for a little excitement, and decided to find it in a courtroom; the duo sued Google for trespassing on their property while collecting photographs for Street View. According to them, Google’s Street View car ignored the “No Trespassing” sign planted out front, and while they noted that that would’ve accepted a simple apology letter, they had no qualms pushing for damages when that wish fell upon deaf ears. The payout? A single dollar. Let’s repeat that: 100 pennies. A buck. Barely enough to buy a Whopper Jr. in Portland, and definitely not enough to do so across the way in Vancouver. We suspect both parties are eager to put the whole mess behind ’em, but if you’ve been looking for a story to prove that America actually isn’t as aimlessly litigious as the world thinks they are… well, this one ain’t it. THE humble old rooftop TV aerial could bring superfast internet to even the most remote shack in the Outback and help solve the problem of how to connect isolated communities across the globe. 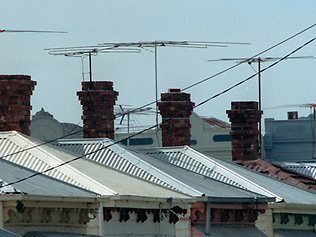 Researchers from CSIRO have developed new technology which could achieve connection speeds to compete with the best: through the tangled piece of metal already attached to most roofs. “The basic premise is if you get good high quality analogue television you should be able to get reliable high-speed communications,” project leader Ian Oppermann said. Australia’s sheer size makes universal internet access a huge challenge, with many millions of square kilometres stretching through deserts and mountains from the Indian Ocean to the Pacific and from tropics to snow. In some places the population is so sparse, Dr Oppermann says they calculate the “nanopeople” per square kilometre. The Government is rolling out the national broadband network (NBN) which aims to connect 93 per cent of the country to high speed internet via a fibre optic network. But that still leaves 7 per cent without what is becoming, increasingly, a basic human right. The NBN promises speeds of at least 100 megabits per second, but the new project team reckon they can match that and connect remote Australia through the spectrum once used for their TV sets. Most people have access to a television signal and more remote communities have relatively little interference — perfect conditions for low-frequency internet transmission on the VHF/UHF bands. Australia’s “big bold” internet experiment is being watched by a number of other countries mulling similar plans, many of whom Dr Oppermann said had either completed the shift from analogue TV or were in the process of doing so. “There are lots of parts of Australia which look a little bit like big parts of Canada, Russia, China, parts of the US, most of Africa from the perspective of where the population is distributed and the sort of conditions that people live in, purely from a communications perspective,” Dr Opperman said. The Government began switching off its analogue TV signals in June and the transition to digital-only transmission is expected to be complete by the end of 2013, five years before the rollout finishes for the NBN. The spectrum is then expected to be auctioned off for communications purposes and this low-frequency analogue television spectrum could be the perfect solution. “To give you an analogy, this is beachfront property,” Dr Oppermann said. Unlike current GSM or 3G networks which lose download speed exponential to increasing users, Dr Oppermann said an analogue signal would provide a consistent speed no matter how many users there were. This high-speed communication could revolutionise life for people living in Australia’s isolated Outback, allowing for virtual appointments with a doctor or government officials. Six farms on the southern island state of Tasmania will test the technology, which will only work in towns of less than 1000 homes because too many buildings will obstruct the signal, next month ahead of a wider field study. “It’s not just an idea anymore,” Dr Oppermann said.